Rui is the second child of six. He used to live with his parents and siblings in a small bamboo house in an isolated village. His parents worked in a farm away from the village and would leave their kids alone. Sometimes, Rui and his brothers had to live without food, other basic necessities and attention from their parents. Rui was in grade 3 of primary school in his village, but still could not read, write and count. Rui hardly went to school because it was far away and there was a lack of school supplies and attention from his parents. He eventually dropped out of school. 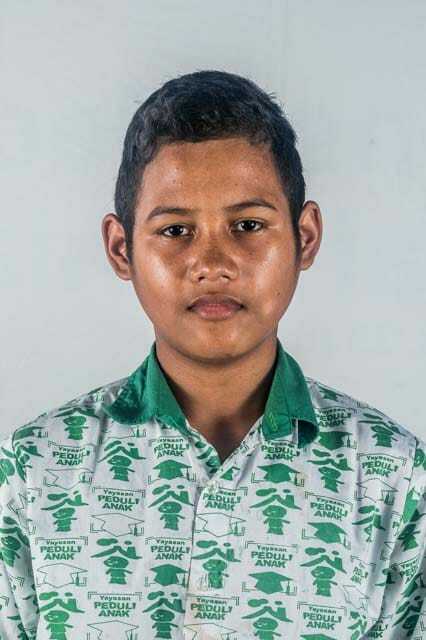 Rui and his brothers were then referred to Peduli Anak for better care and education.